For my birthday a few weeks ago, I received an Instant Pot pressure cooker. True confession: I bought the Instant Pot when it was on sale over the summer, hid it in my closet, and gave it to my husband to give to me on my birthday. Gift-giving often works out best for us this way. 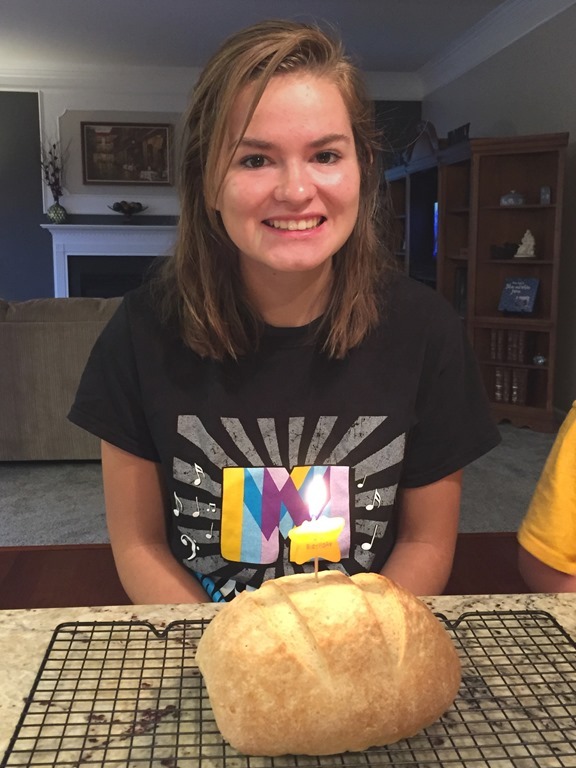 I am still in the pressure cooker learning phase, but I have made a few things that my family really loves. These spicy black beans have definitely become a family staple. In the last 5 weeks, I have made them 3 times, and everyone cheers to see them on the table again. I never expected such a great reaction to a bean side dish! 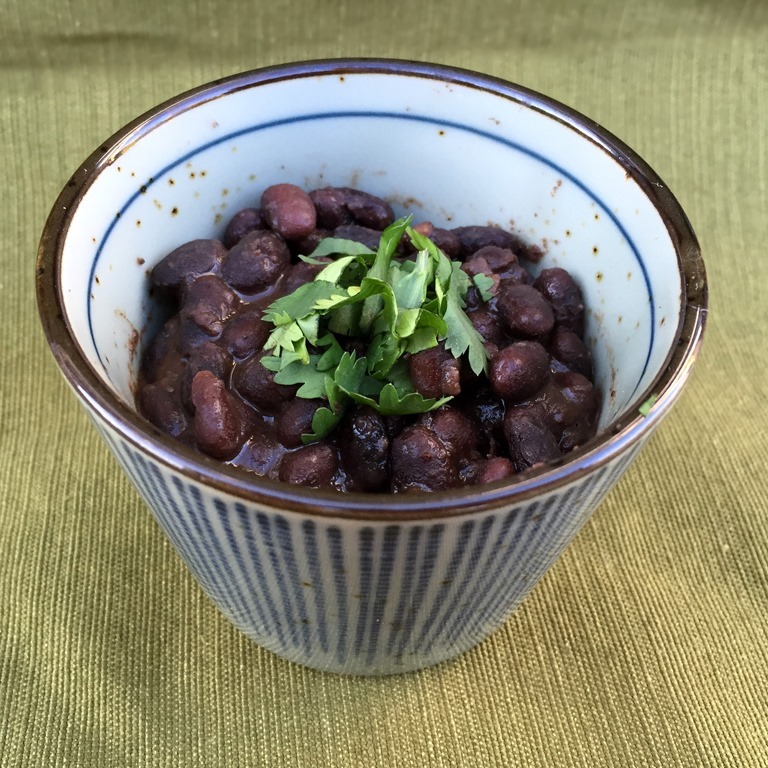 These beans are flavored with chipotle peppers and various smoky spices. We like them on the spicy side, but if you want a little less heat, just scale back on the chipotles. 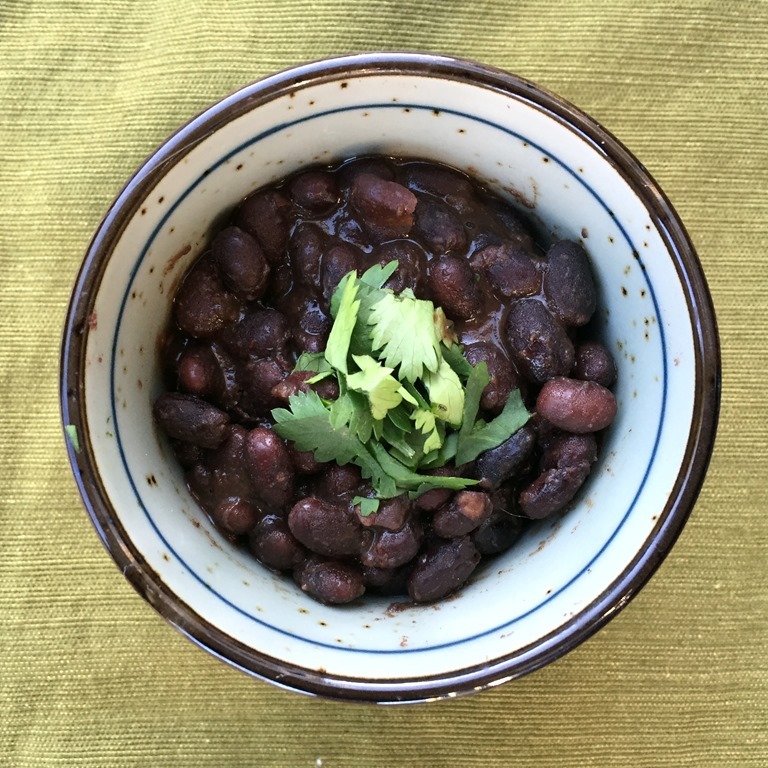 These beans (and yogurt making) have totally made the Instant Pot worth it. I love being able to start with dried beans and have a delicious dish in a little more than an hour. And No Soaking! No need to plan the night before. The total prep time for this recipe is less than 5 minutes (or as long as it takes you to chop an onion and measure some spices). Maybe we will actually be able to eat our way through all of the dried beans in our basement now. I also made these once using dried pinto beans, and they were delicious too. Set the Instant Pot to Sauté. Add the oil, chopped onion, and garlic. Sauté for 5 minutes with the lid off. Stir in dry seasonings and cook for 1 additional minute. Add broth, green chiles, black beans, chipotle peppers and adobo sauce. Press Cancel to reset. Place the lid on the pot, with the valve in the “Sealing” position. Press the Bean/Chili button (or Manual, high pressure) and set the time for 40 minutes. After the beans cook, let the pressure release naturally (about 30-40 minutes). Remove lid and stir beans. Remove bay leaf. Taste and add additional salt, if necessary. If beans are soupy, use a slotted spoon to serve. Beans will thicken with time. Garnish with cilantro. 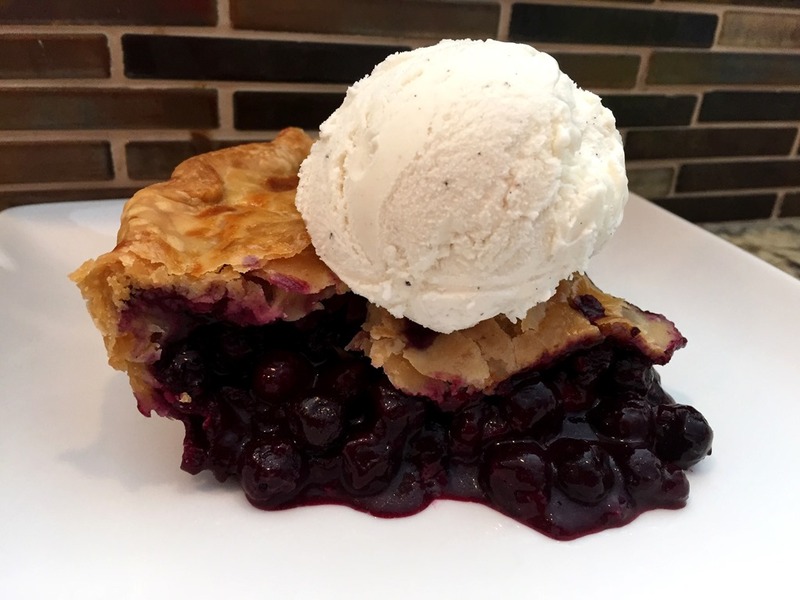 ***DISCLAIMER: If you are just here for the pie, scroll to the bottom of the post NOW. Otherwise, you will be subjected to a long-winded not-pie-related-at-all monologue on our family’s journey this summer from Pittsburgh to Baltimore. 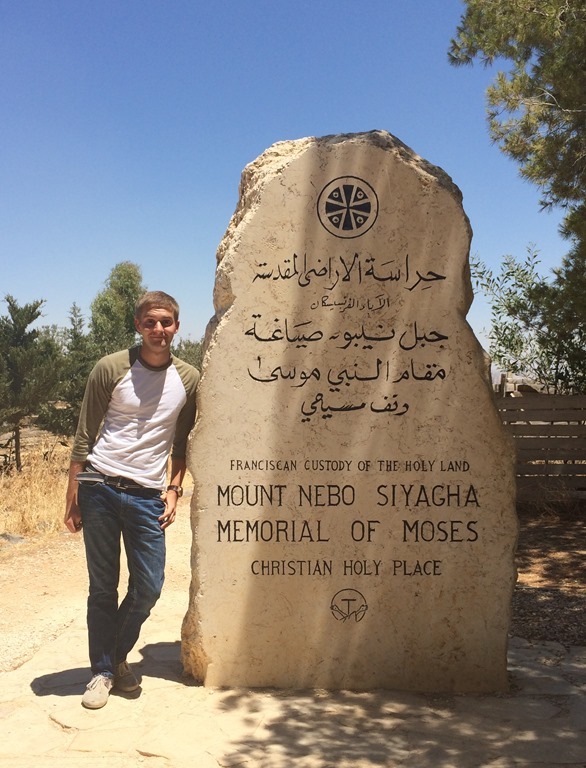 Not exactly a physically pioneer-worthy trek, but definitely an emotionally arduous one. So for those who are sticking this post out (i.e. my mother), welcome to the Smith family “What did you do this summer?” post. And yes, there will be pie at the end. 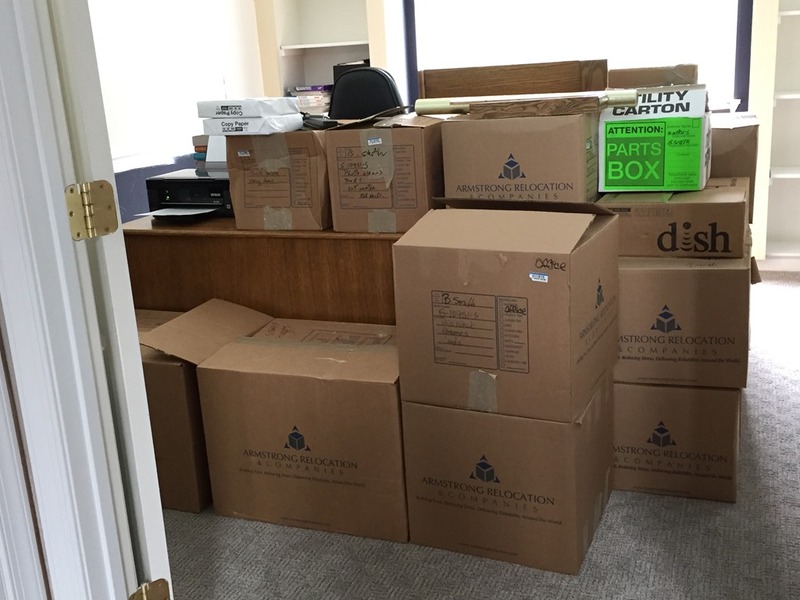 Two months ago today, we moved out of our Pittsburgh home, wandered around homeless for a month, then moved into our home in Carroll County, Maryland on July 7-8. 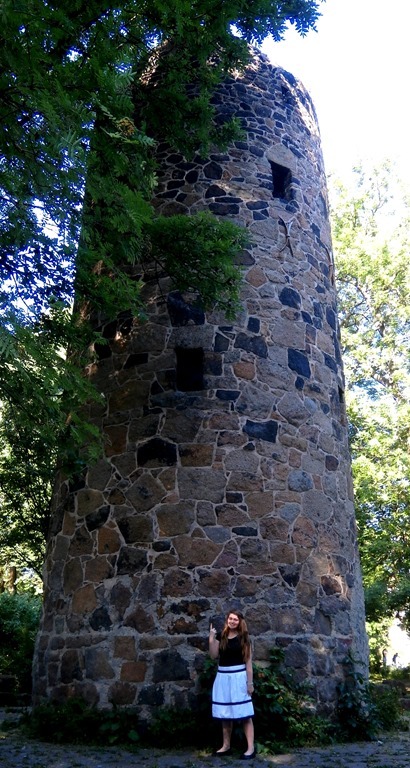 The morning of July 8 (with movers still hauling in furniture and endless boxes), Brian and Little A left on a Boy Scout backpacking trip along the Appalachian Trail. 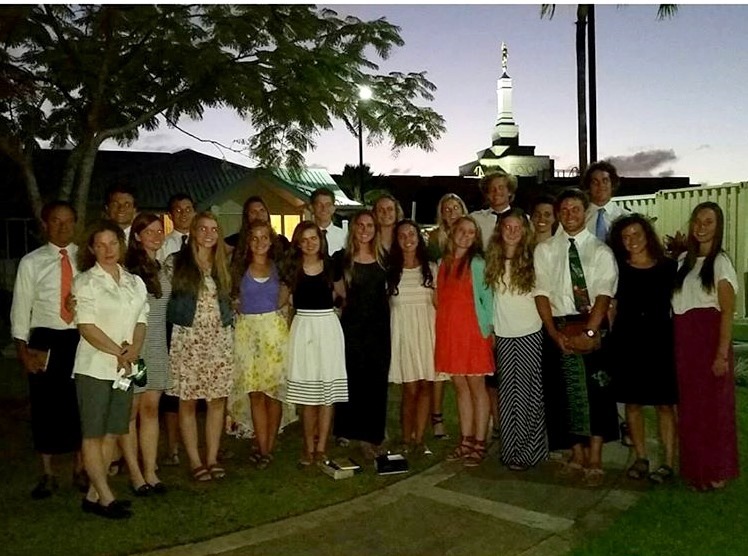 Middle K also left that day for a 2 ½ week humanitarian service trip to Fiji sponsored by BYU’s HEFY program. So while Little J and I unpacked, painted walls, rearranged furniture and made endless trips to Home Depot, Middle K lounged on Pacific island beaches soaking up a tan. 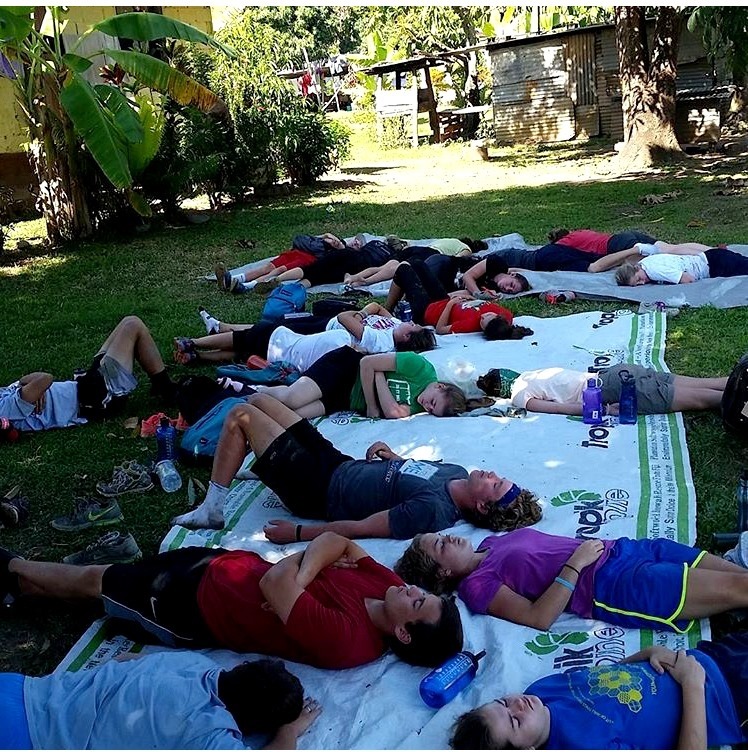 (Actually she worked really hard in a remote village building outhouse type toilets <that flush>, complete with septic tanks they dug out and installed). **LIFE TIP FOR TEENAGERS** When your parents decide to move you just before your senior year in high school (after 14 years in one city, one house, one school district, one set of awesome friends), if you approach the move without throwing tantrums, issuing threats or otherwise making an already difficult move even more painful—if instead, you approach it with grace and maturity (love you Middle K! ), you will find your parents much more likely to say “yes” to questions like: can I redo my new room when we move? and the bathroom? can I buy some new furniture? 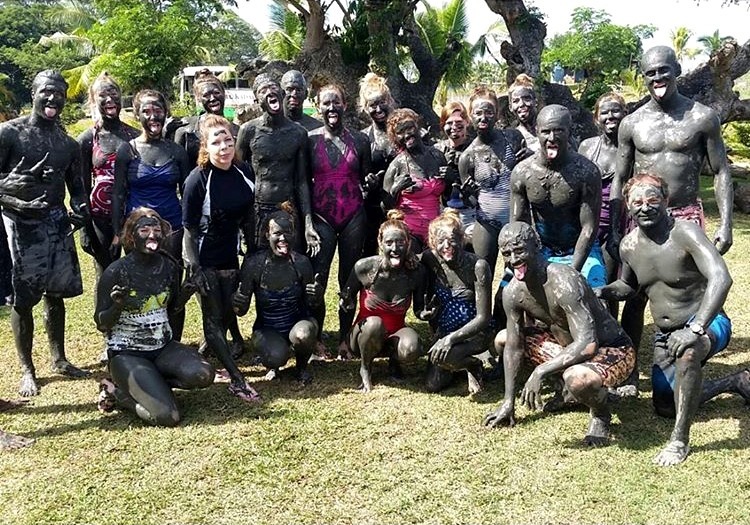 can I go across the world to Fiji and do humanitarian work for the summer? 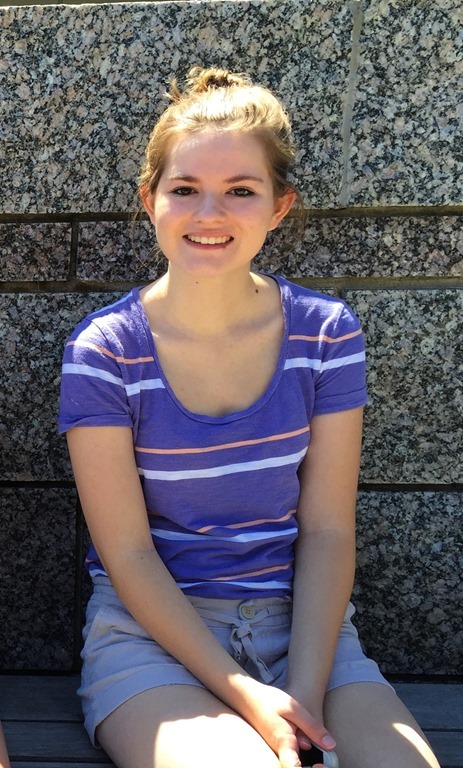 So grateful for this amazing daughter who has grown into such an incredible young woman. 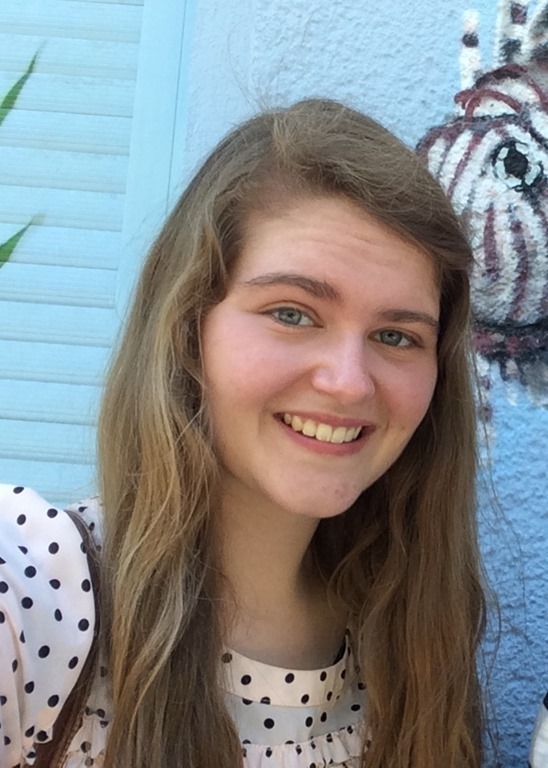 I am really going to miss her when she leaves for college next year. 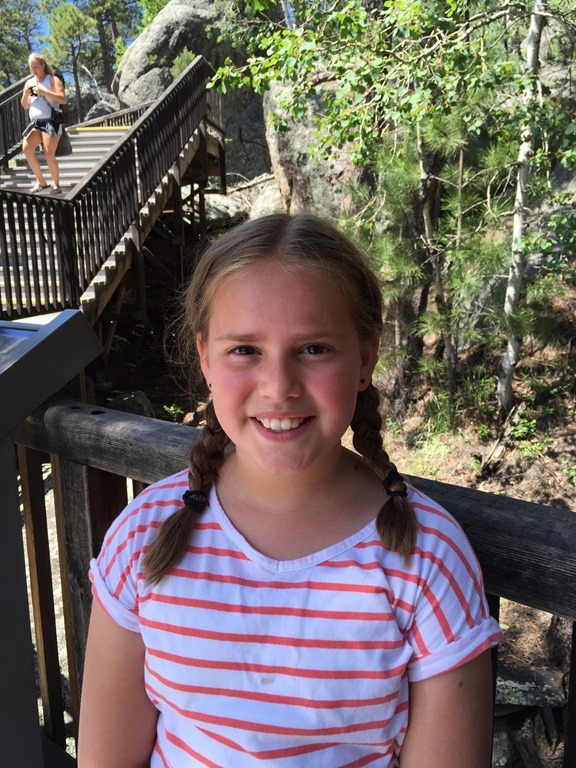 During our month of homelessness, I decided to drive with the kids out to Boise, Idaho to visit my parents and sister (who live there) and other sister and her kids who joined us there from Texas. 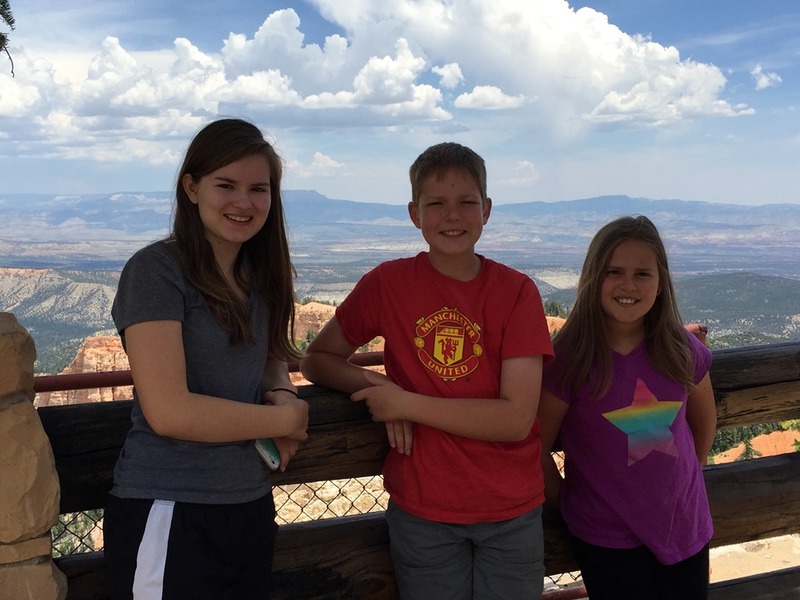 It was great to visit with family and for cousins to get together again. Many thanks to Mom & Dad for housing us all and for fabulous Aunt Myrna who opened up her home to us in Boise and let us hang out at her cabin at Cascade Lake. 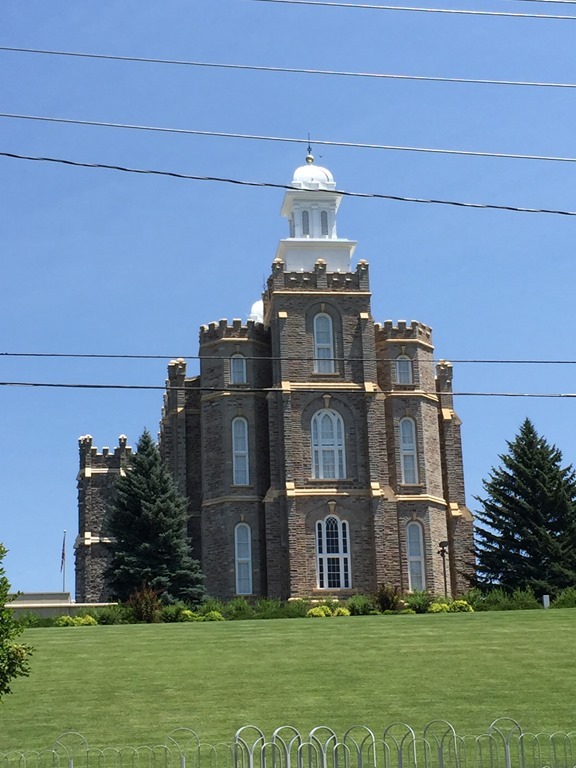 Here are a few pics of our trip west. 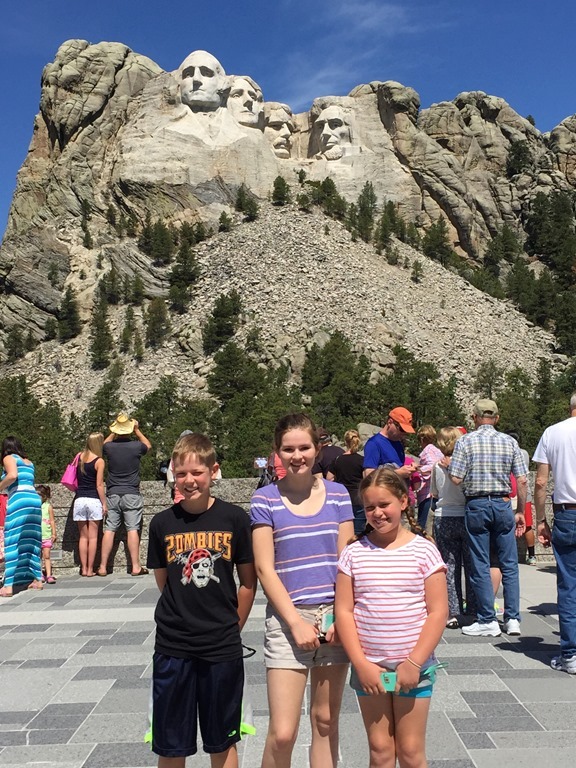 On our way there we detoured north to visit Mount Rushmore and Yellowstone. The drive through the Black Hills National Forest was one of my favorites. 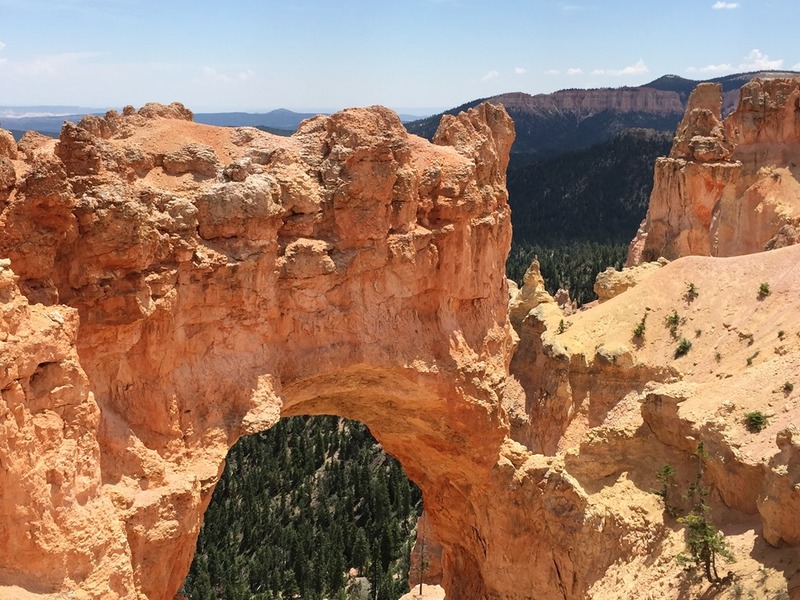 On the way home, we went south through Utah (doing college tours with upcoming senior Middle K) and then visited Bryce Canyon before heading east again. 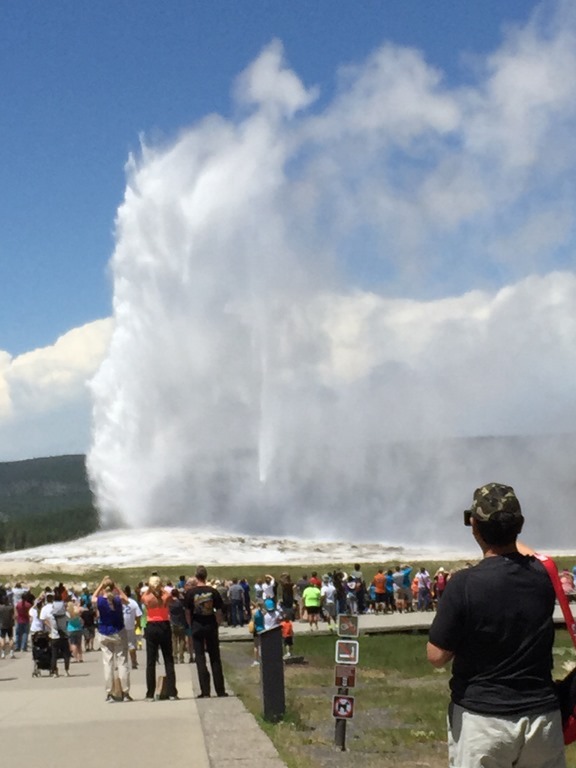 Old Faithful: not as impressive as I had expected. And so crowded! 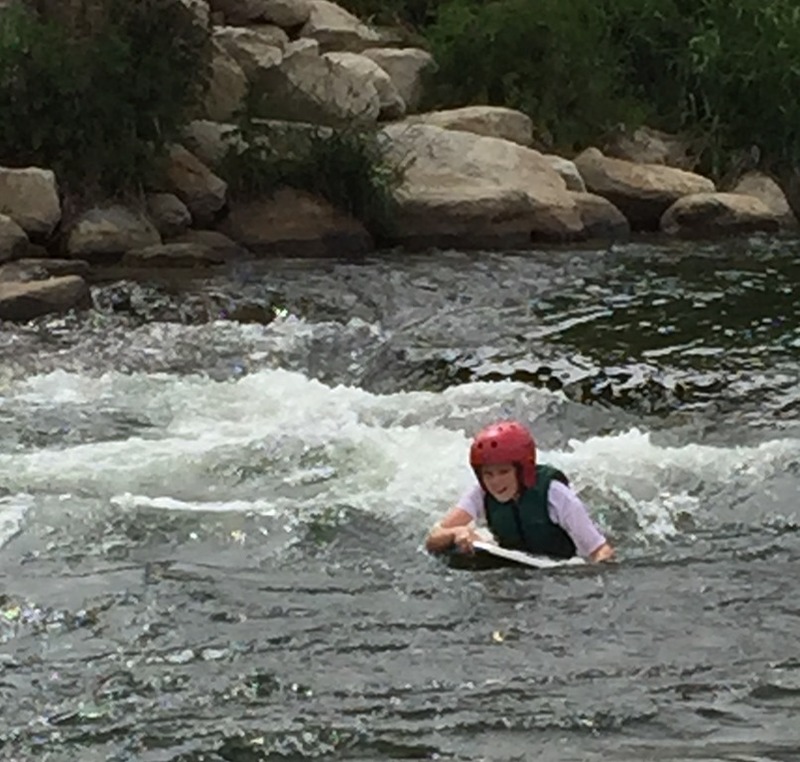 Boogie boarding the rapids on Payette River. 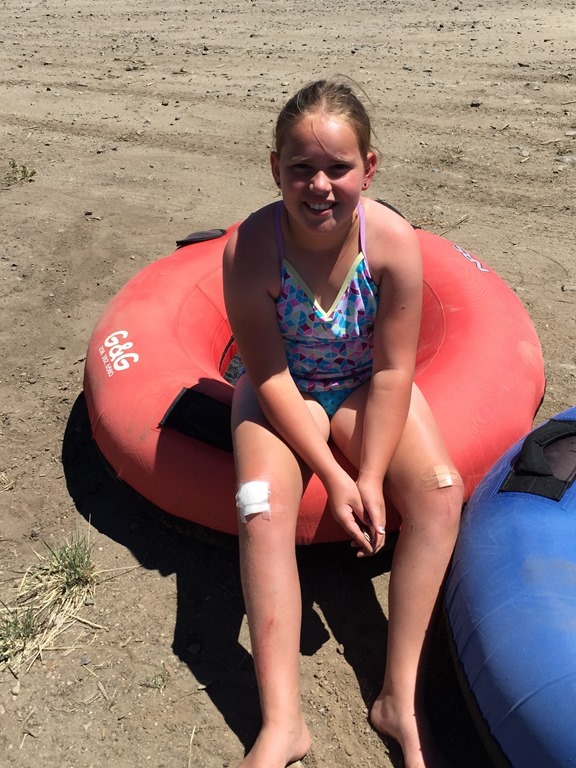 We left with a few war wounds. 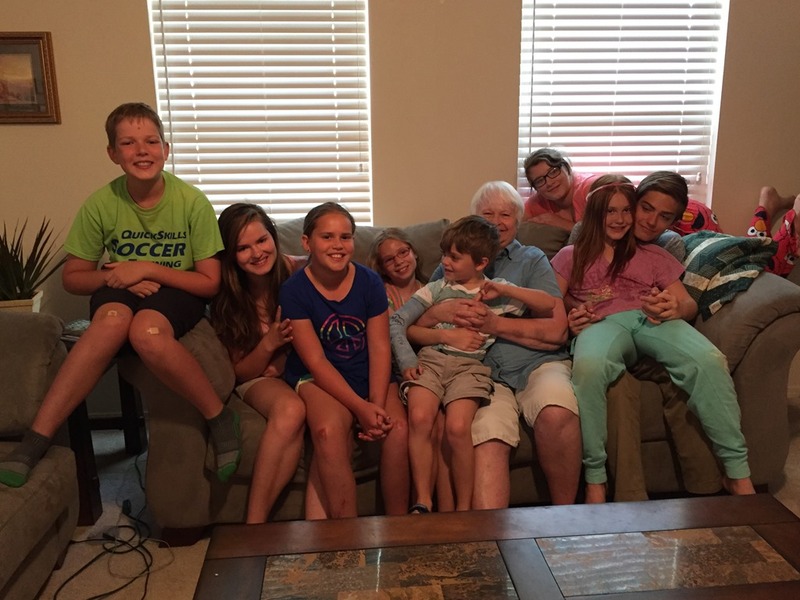 Awesome time hanging out with Grandma and cousins! 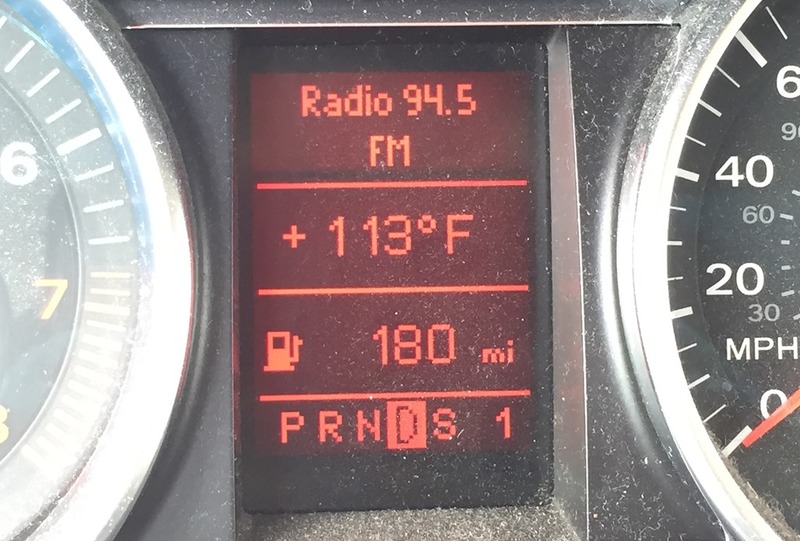 It was REALLY hot in Idaho and Utah! 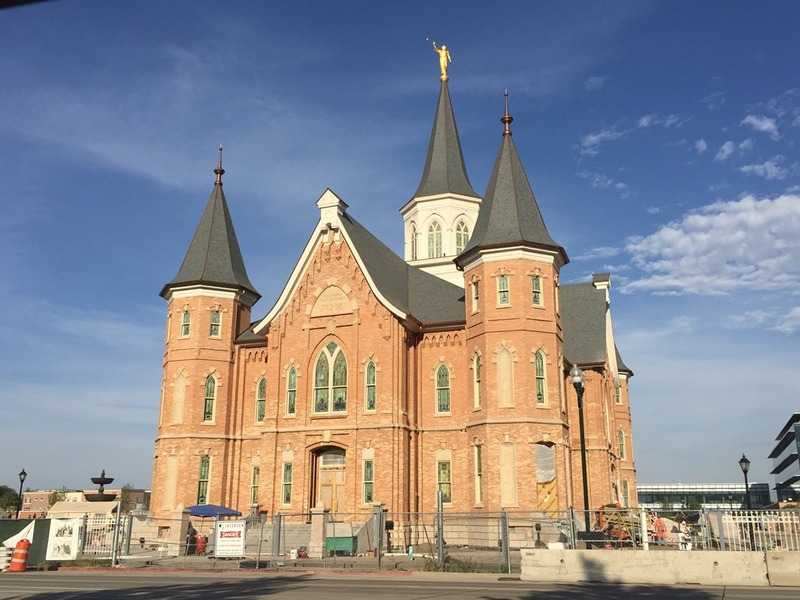 Saw some temples in Logan and Provo that we hadn’t seen before. While we had a great time touring the country and visiting extended family, it is nice to be settled again, and to not have Brian commuting from Baltimore to Pittsburgh every weekend. 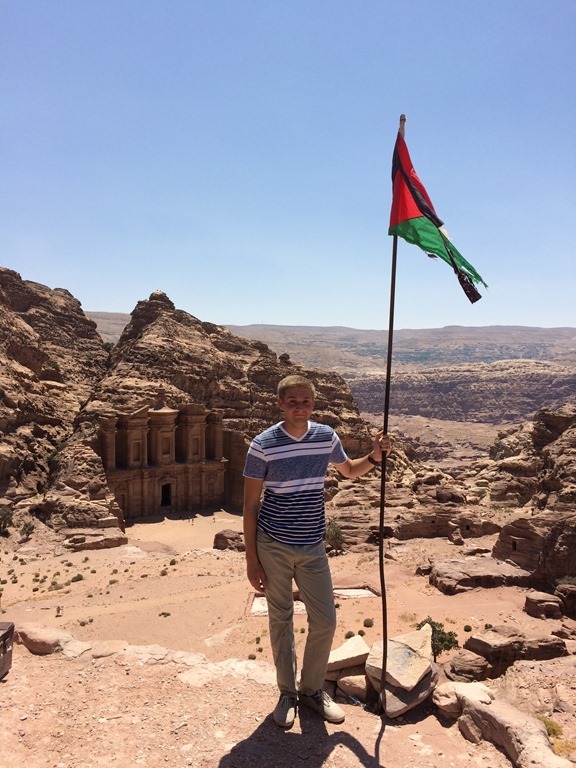 Many props also to Brian who stayed in Baltimore working and missed most of these adventures (someone had to bankroll all of this fun!). 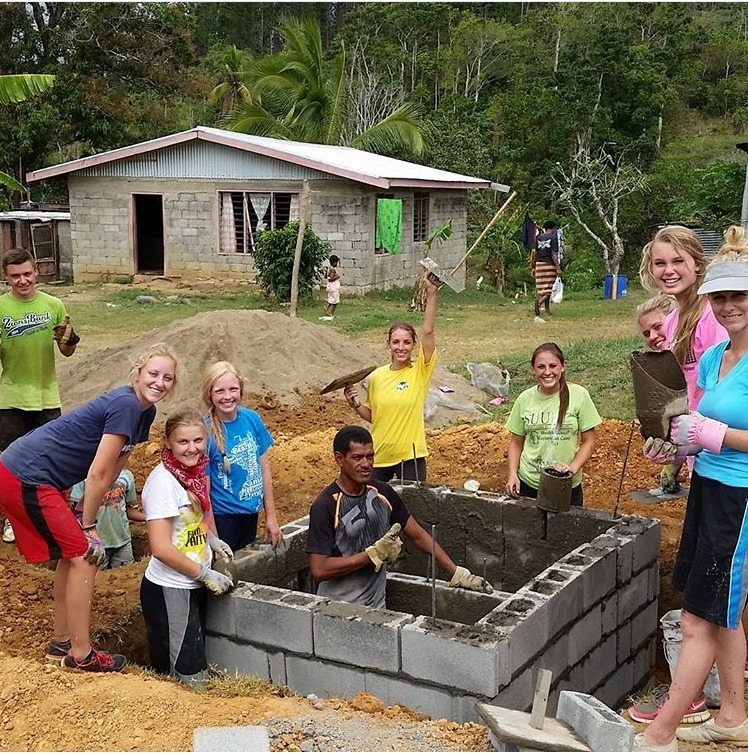 While some of us have been road-tripping the US, building toilets in Fiji and working in Baltimore, the other 2 members of our family have been off on their own adventures. 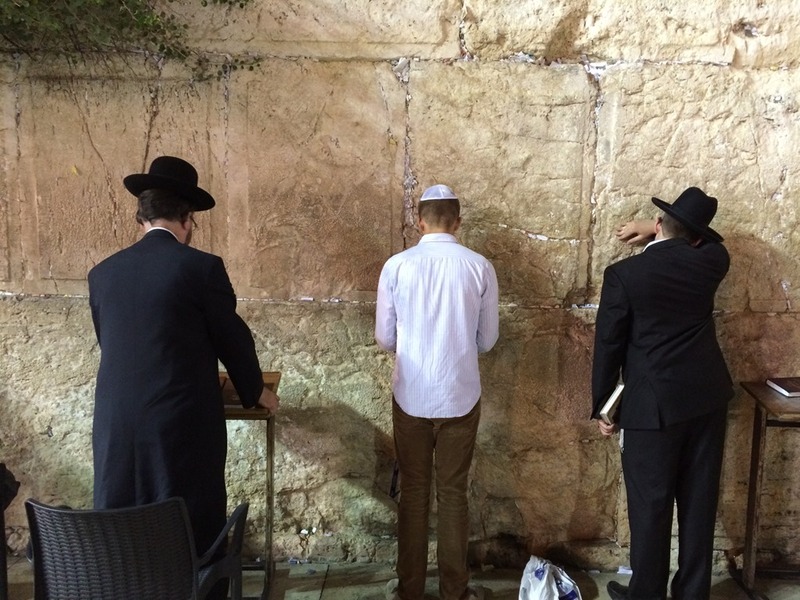 Justin is doing a semester abroad this summer in Jerusalem. 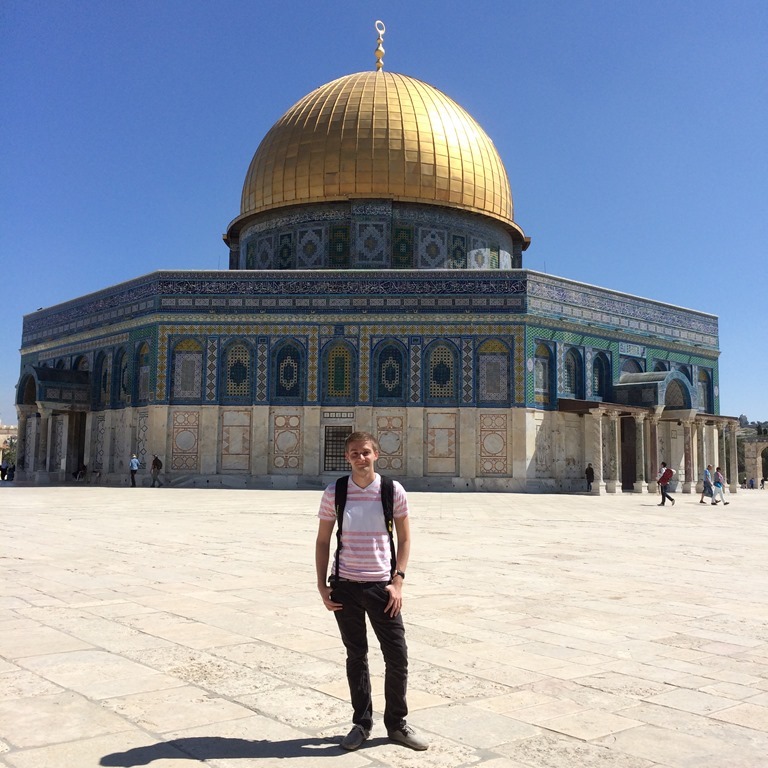 He gets home this week and will be here for about 2 weeks before going back to BYU. 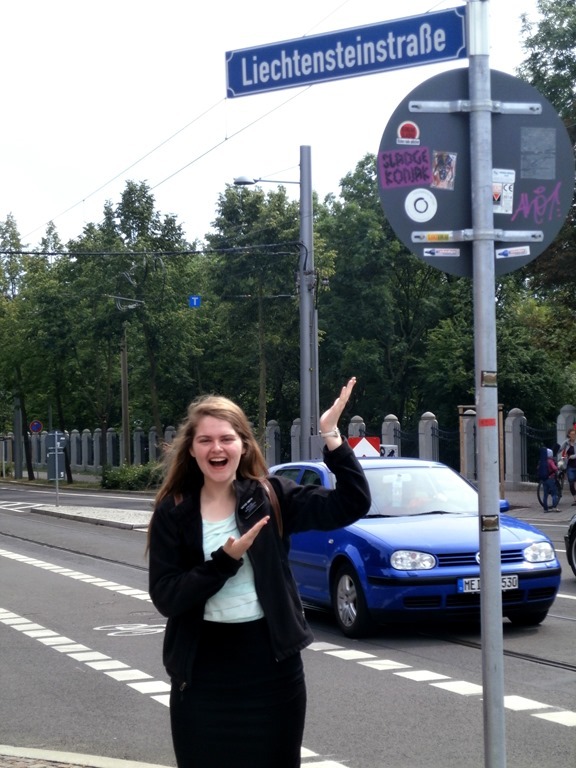 And since last October, our oldest daughter, Alyssa, has been serving a mission for the Church of Jesus Christ of Latter-Day Saints in Berlin, Germany. We got to talk to her on Christmas and Mother’s Day, but mostly we rely on emails and the occasional picture to know how she is doing. 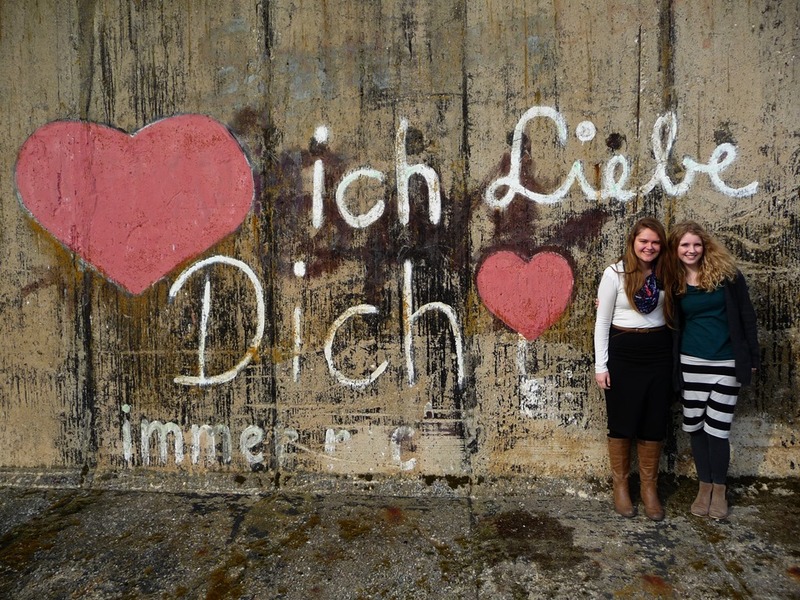 So at one point this summer, our 7-person family was spread across 4 countries (and 2 states). 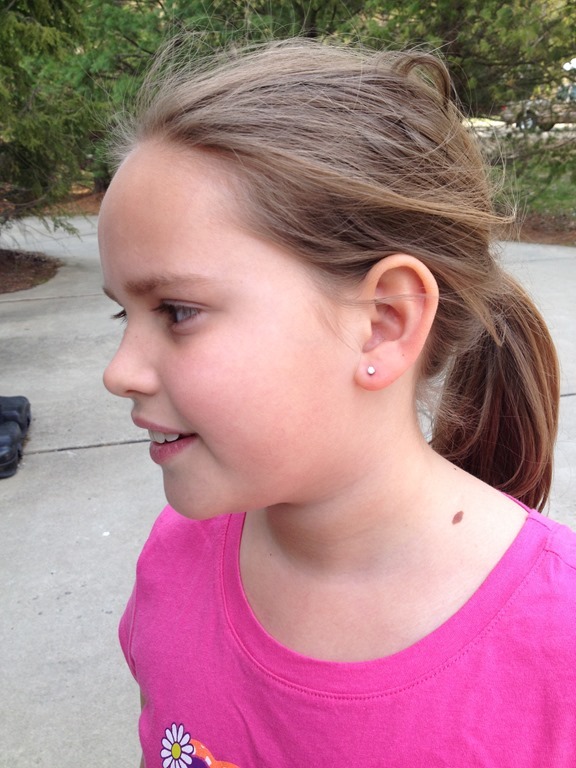 That is definitely a challenge for a mom’s heart. But enough maudlin rambling: it is time for pie! 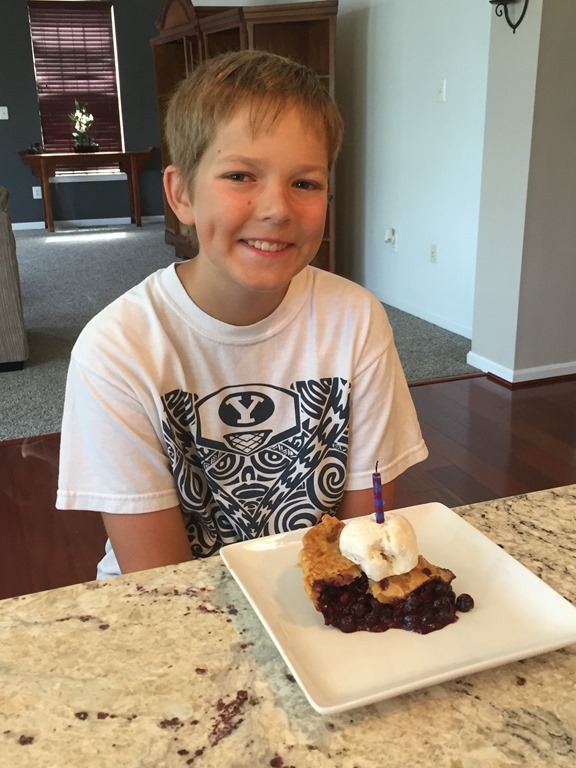 Little A’s 13th birthday arrived in the middle of this chaotic summer and we celebrated with an awesome blueberry pie. 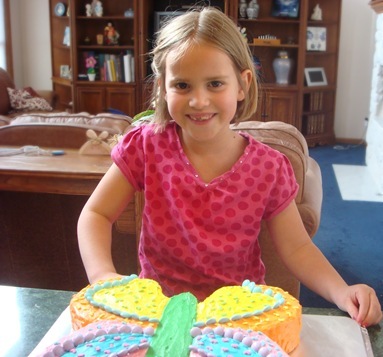 Little A is much more a pie guy than a cake guy. And it turns out that in moving from Pennsylvania to Maryland, we are now closer to Amish country! And there is an Amish farm down the road that sells huge ripe blueberries for a couple of weeks in the summer. When I get more time, I can’t wait to go north (about 30-40 minutes, from what I hear) and hit up all of the fresh stuff at the Amish auctions there. My kids are also on the prowl for a great Amish donut place (Soergels: we miss you!). Preheat oven to 375°F. 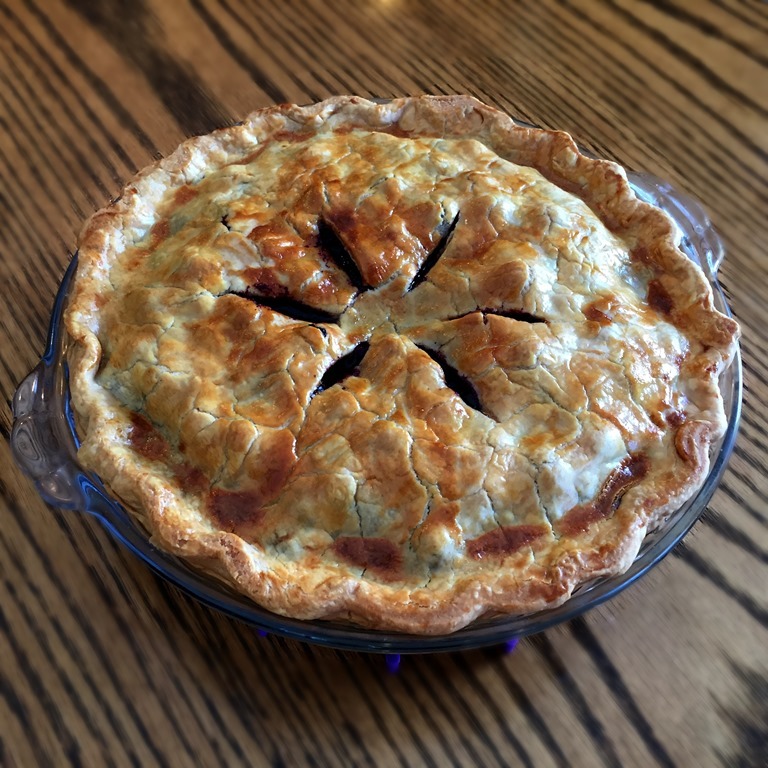 Place dough for one pie crust in a DEEP DISH pie plate (for a regular pie plate, reduce amount of filling). In a large bowl, stir together the blueberries, lemon juice and zest. In a small bowl, mix sugar, cornstarch, flour, salt and cinnamon. Stir into berries and mix well. Spoon into the unbaked pie crust, mounding berries in the center. Dot blueberry mixture with small pieces of the cold butter. Top with remaining pie crust. Seal and flute edges of the pie crust. Use a sharp knife to cut slits in the top of the crust (for steam to escape). Brush crust with egg wash. Place a large piece of foil on the lower rack on the oven to catch drips from the pie as it bakes. 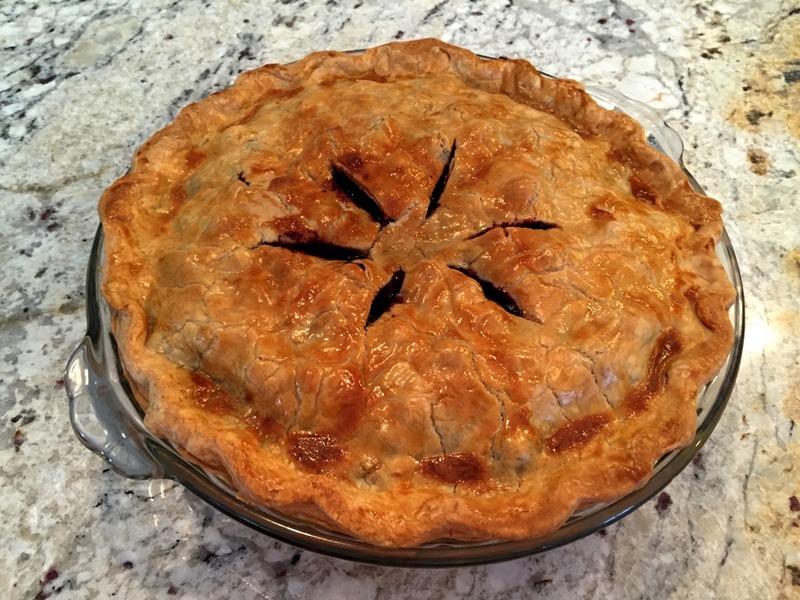 Cover edges of crust with a pie crust shield and bake at 375°F for 60-80 minutes, or until filling is hot and bubbly (you should start to see filling bubbling from the center slits in your crust). 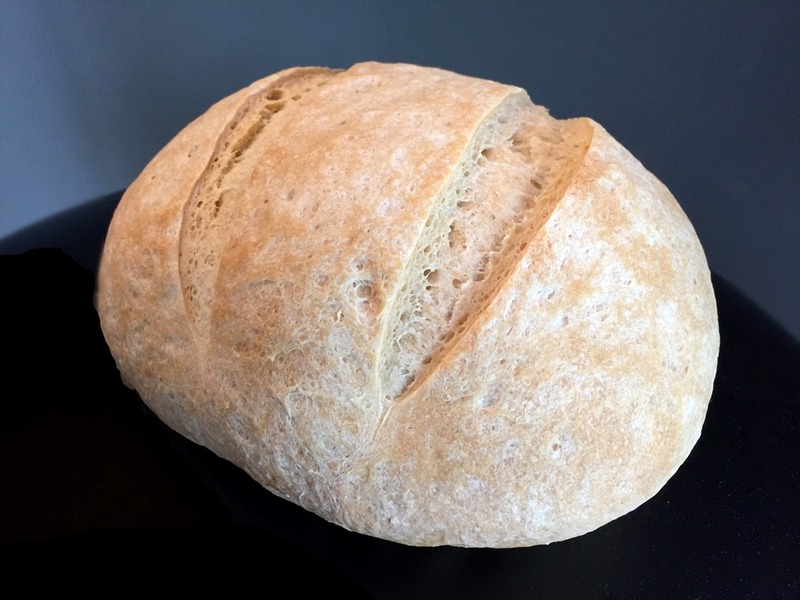 Divide dough in half and roll out each piece of dough on a lightly floured surface. If dough is too sticky to work with, place each half on a piece of plastic wrap. Top with a second piece of plastic wrap and press with your hands or a rolling pin until dough is a thick disk. 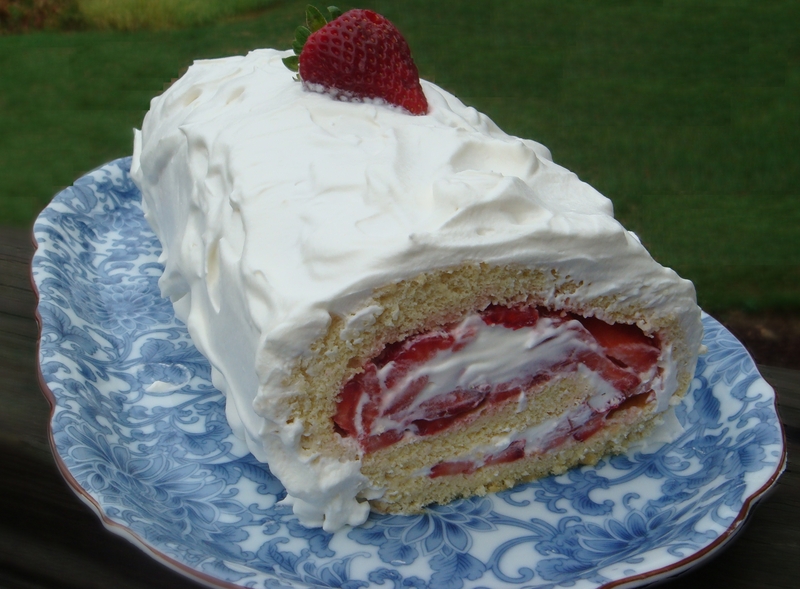 Refrigerate 30-60 minutes, then roll again until thin enough to fit pie plate (about a 12-13” in diameter). 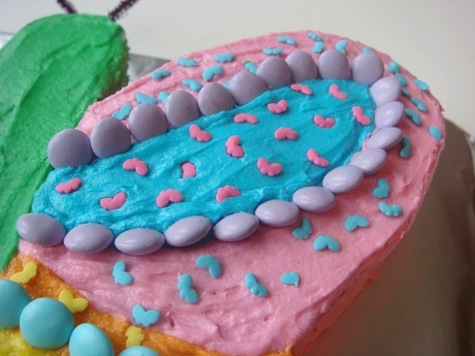 NOTE: For information on how to make your own pie-shield, click HERE. It has been a busy weekend for us around here, with a sleepover birthday party, a trip to the mall for an ear-piercing, church youth temple trip, oldest daughter returning from college, middle daughter returning from a school orchestra trip, a playdate for a little boy feeling left out of all the fun, regular Sunday church activities (plus an evening Easter devotional), followed by a child’s gall bladder removal on Monday. 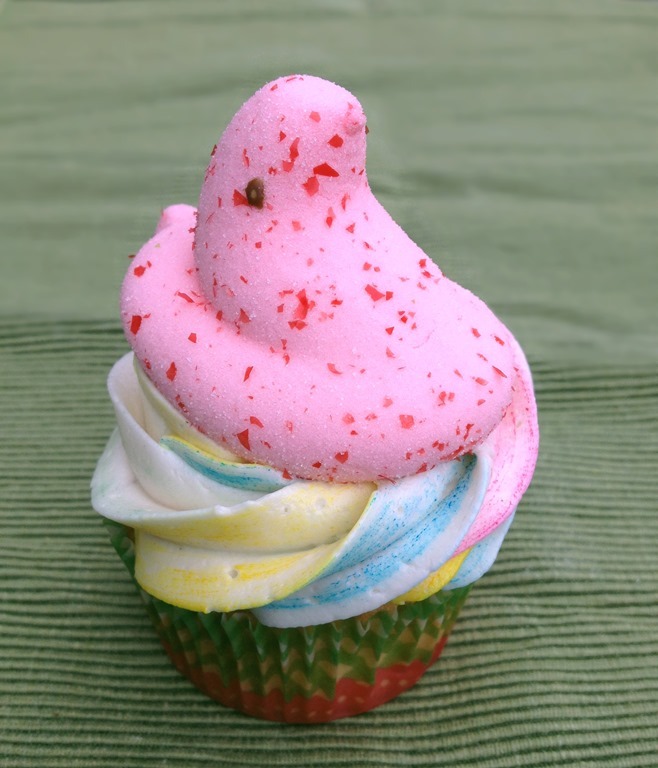 If anything can help you through the wonderful chaos that is raising kids, it is these Peeps cupcakes. 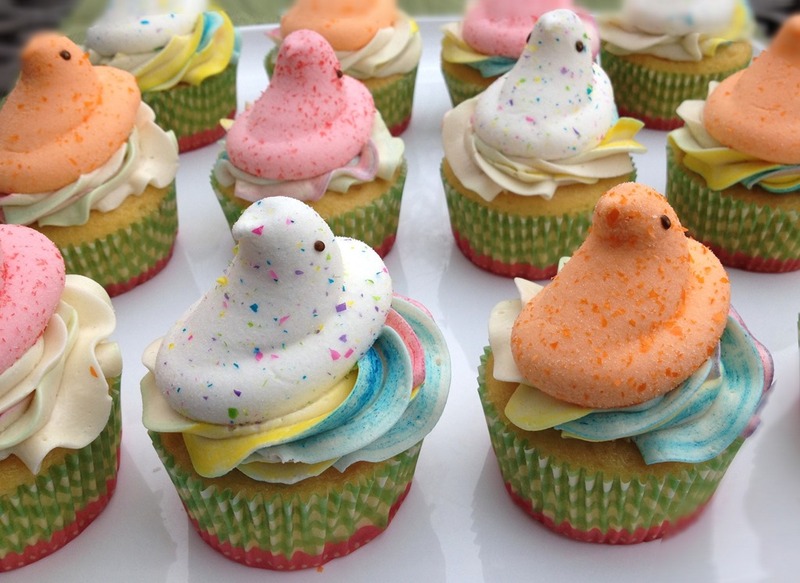 We served them at Little J’s 10th birthday party, but they would also make a fun Easter dessert. The kids were excited to find a surprise inside of the cupcakes when they bit into them! 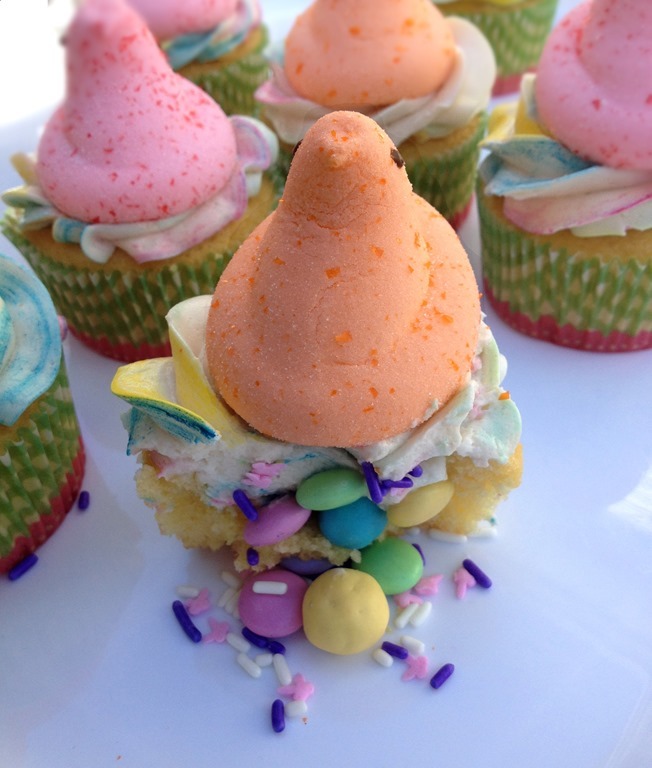 I scooped out the center of the cupcakes and Little J filled them with candy Easter eggs and m&ms. 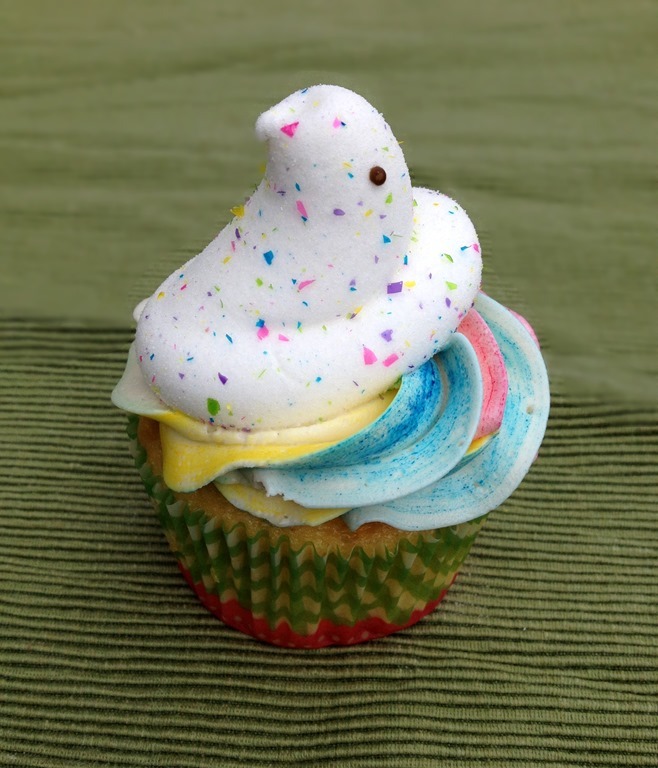 I piped a swirl of the rainbow frosting onto each cupcake and then we topped each one with a Peep. We used the Vanilla, Strawberry, and Orange Crème flavors. These Peeps are separated in their package so that you don’t have white patches (with no sugar covering) where you have to break the Peeps apart from a normal package. 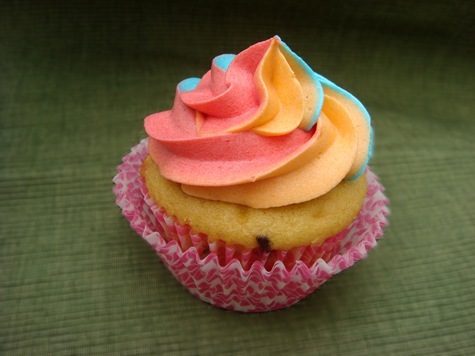 To make the rainbow swirled frosting: Attach a large tip (I used a Wilton 1M) to a pastry bag. Using a clean paintbrush, paint stripes of gel food coloring along the inside of the pastry bag (the stripes do not have to touch). Carefully spoon white frosting into the bag. 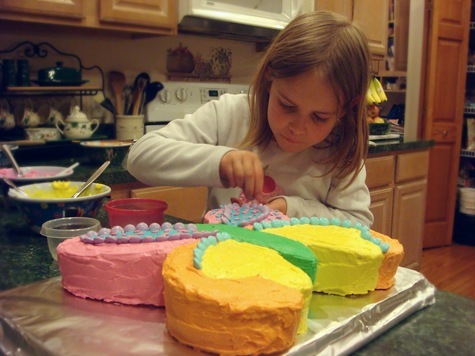 Squeeze out and discard a little of the frosting, until you begin to see color on the edge of the frosting. Pipe frosting onto the cupcakes: start on the outside of the cupcake, holding the bag straight up and down and proceed in a swirl, slightly overlapping layers, to the center of the cupcake. In a small saucepan, mix the flour and milk with a whisk until combined. Heat over medium heat, stirring constantly with a whisk, until mixture thickens (and is just about to boil). Remove from heat and let it cool completely to room temperature. Stir in vanilla. In a large mixing bowl (a stand mixer works best for this) cream the butter and sugar until light and fluffy. Beat in the cooled milk mixture and beat for 5-7 minutes, until frosting is light, fluffy and completely uniform throughout. 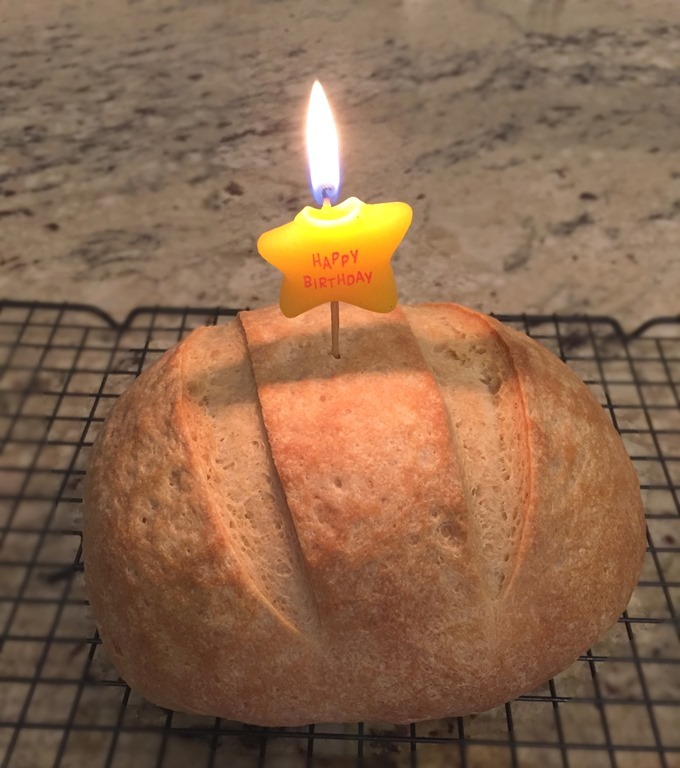 FOR SWIRLED FROSTING: Attach a large tip (I used a Wilton 1M) to a pastry bag. Using a clean paintbrush, paint stripes of gel food coloring along the inside of the pastry bag (the stripes do not have to touch). Carefully spoon white frosting into the bag. 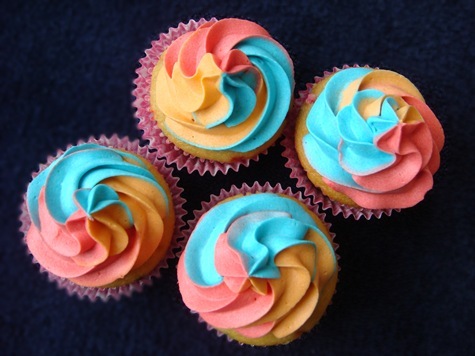 Squeeze out and discard a little of the frosting, until you begin to see color on the edge of the frosting. Pipe frosting onto the cupcakes. 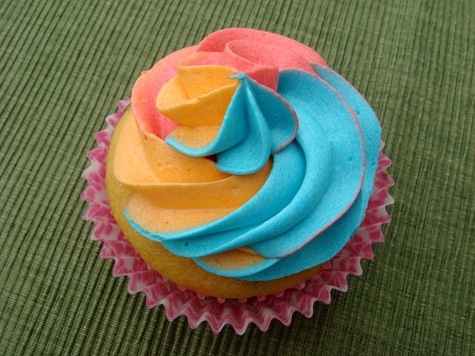 For a peaked swirl pattern: start on the outside of the cupcake, holding the bag straight up and proceed in a swirl, slightly overlapping layers, to the center of the cupcake. For a rose pattern: start in the center of the cupcake, holding the piping bag straight up and proceed in a swirl to the outside of the cupcakes (do not overlap layers). 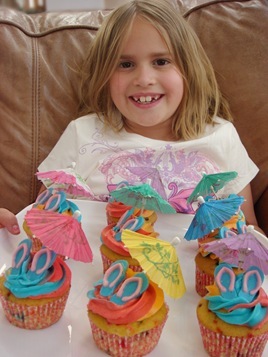 These are the cupcakes we made for Little J’s 6th Birthday Party. 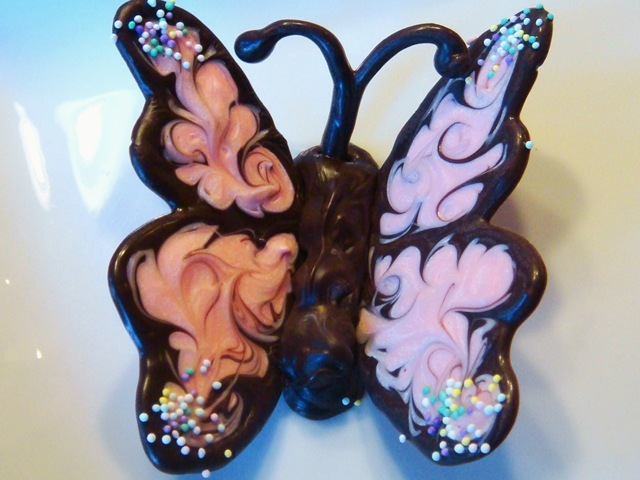 The butterflies were easy to make, and look so cute sitting on top of a brightly frosted cupcake! 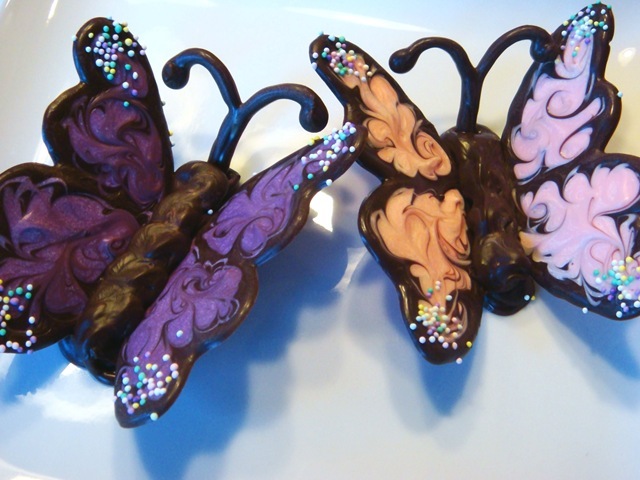 I first saw these butterflies on the blog Annie’s Eats. They are also shown in the book Hello Cupcake! I used a boxed mix (as I had 6 party-going 6 year olds helping bake and decorate) for the cupcakes, but made a homemade frosting for the girls to tint and ice their cupcakes with. The frosting was absolutely decadent! 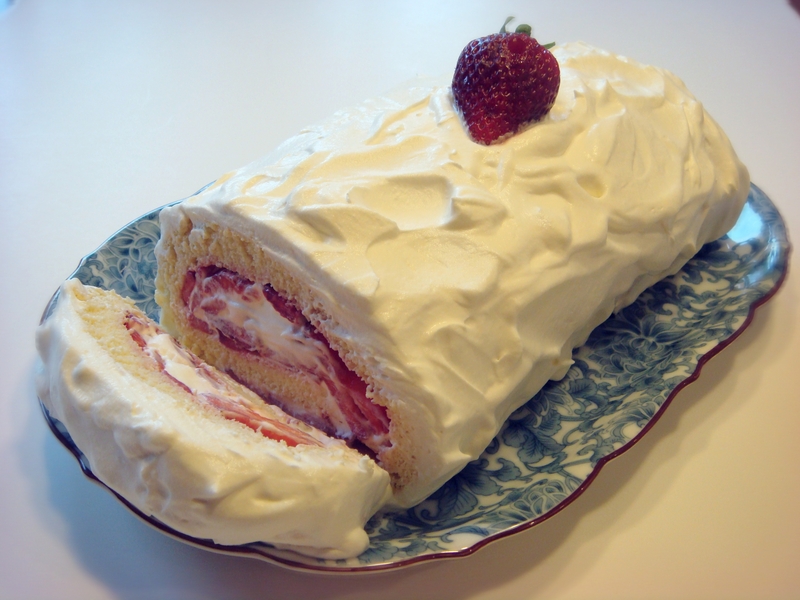 I normally dislike most frostings: buttercream, royal icing, fondant—they all get scraped off onto the side of my plate. But this frosting is amazing; it tastes like a rich buttery whipped cream. Maybe I like it because it doesn’t use powdered sugar. That and the butter! The frosting recipe is below, at the end of the post. It is different from many frostings in that it is thickened with a cooked milk and flour concoction (that looks like glue! ), and uses granulated sugar instead of powdered. 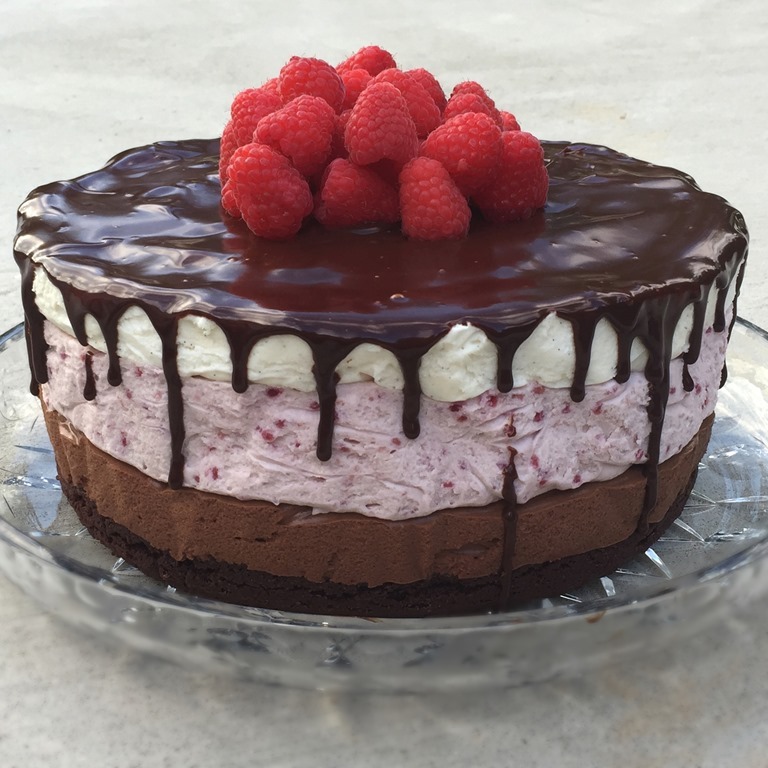 This will be my go-to cake frosting from now on! 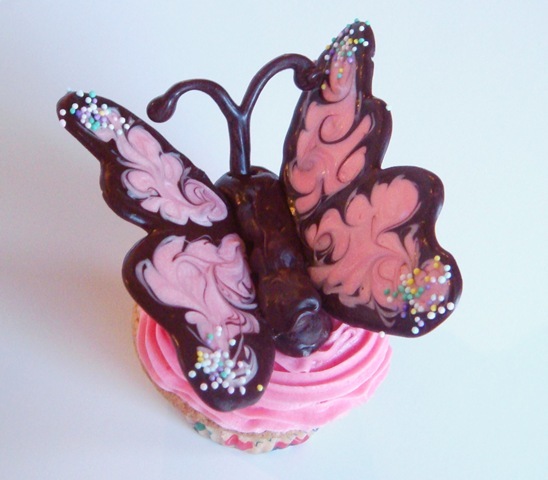 What really makes the cupcakes, of course, are the butterflies. They were surprisingly easy to make. Place a small amount of colored and chocolate melting disks into separate Ziploc bags (or small bowls). 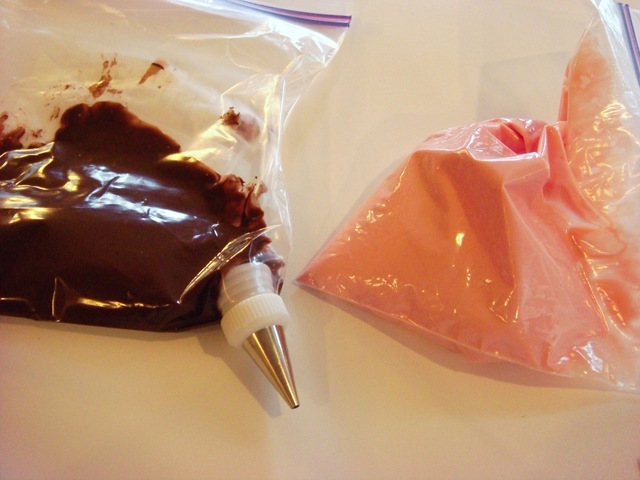 Melt in microwave—Start with 30 seconds, squish bags, then add an additional 10 seconds if not completely melted. 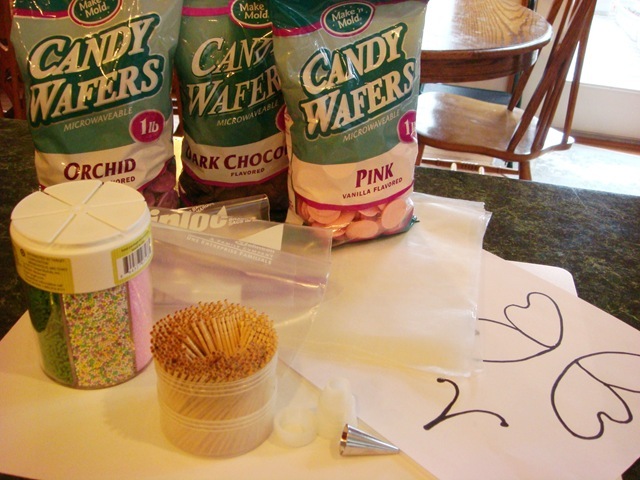 I used a writing tip to pipe the chocolate, but I just cut off a small end of the bag to squeeze out the melted colored vanilla candy. I used Ziploc bags simply because I did not want to clean out pastry bags. I don’t recommend store-brand bags for this; I have had the seam rip while squeezing out the chocolate. 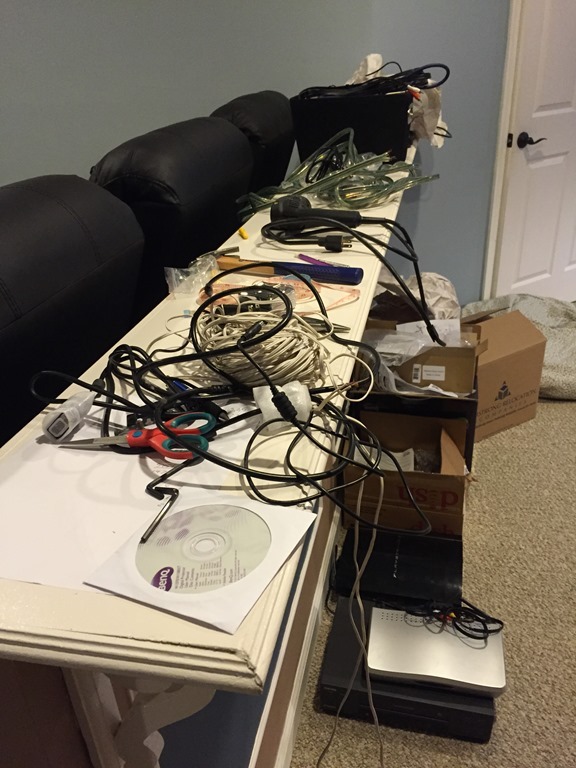 Huge mess! 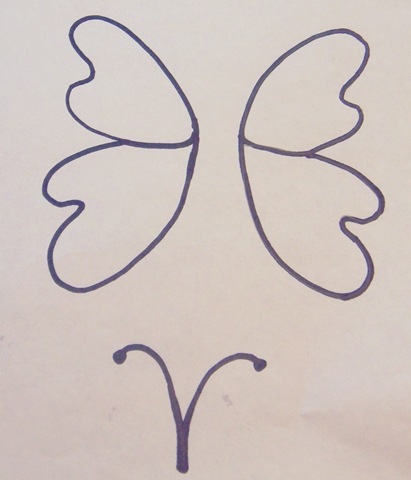 Place a small square of waxed paper over your stencil paper. Pipe chocolate around the edge of one wing at a time. 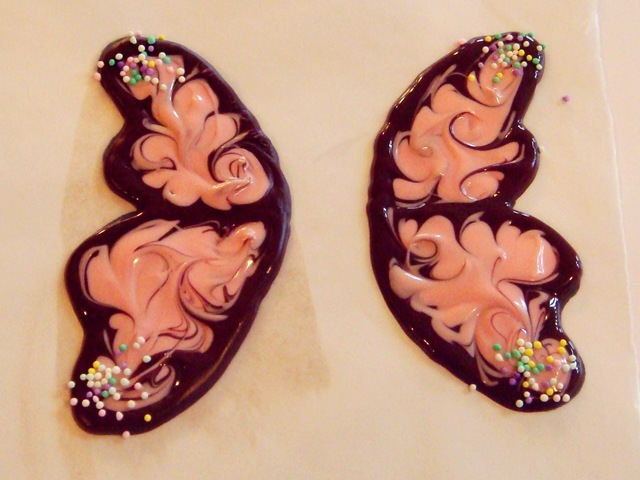 Squeeze a small amount of colored chocolate into the center of each wing section. 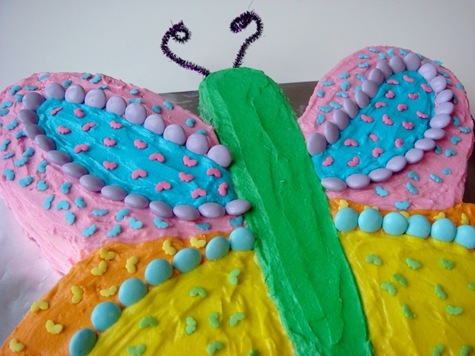 Use a toothpick to spread colored candy to fill the wing. Use a toothpick to gently swirl chocolate and colored candy. Sprinkle edges of wings with sprinkles, if desired. Place your bag of chocolate back in the microwave for a few seconds if it becomes too stiff (don’t forget to take off the metal writing tip!). Trace the antennae. Let wings harden completely. 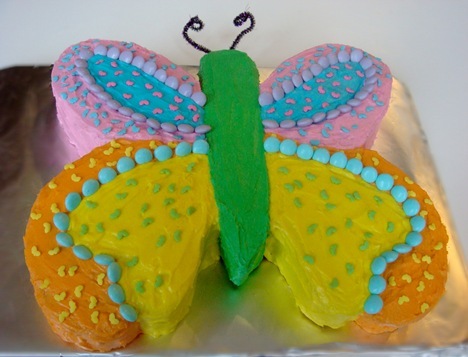 There are two ways to assemble the butterflies: create self-standing butterflies, or assemble the butterflies on the cupcakes. 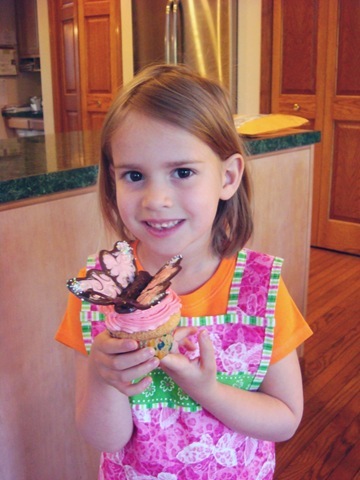 I was making these for Little J’s party, where the girls were making and decorating their own cupcakes. I thought assembling them on the cupcakes would be too time consuming for the party, so I made mine self-standing. 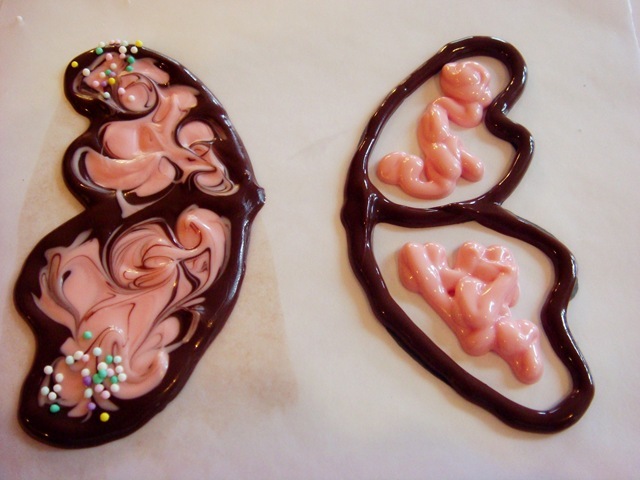 The down side of trying to make self-standing butterflies is that the cute little segmented bodies (see picture below) don’t stay quite so cute when you are trying to balance the wings in the still-wet chocolate. 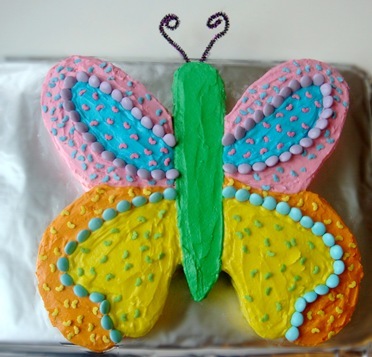 For a great tutorial on how to assemble the butterflies on the cupcakes, visit Annie’s Eats. 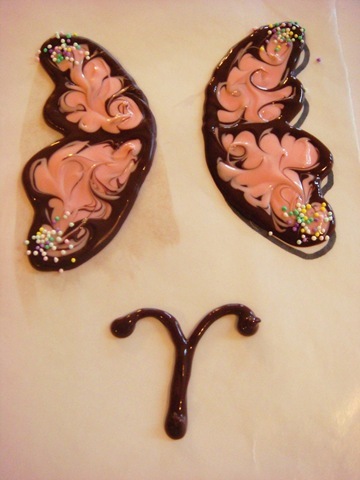 For self-standing cupcakes: using the melted chocolate, pipe a body onto a separate piece of waxed paper. 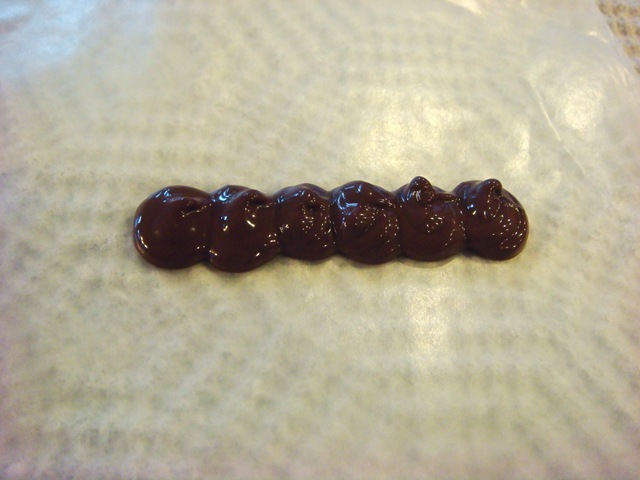 Make little dollops of chocolate, being sure that they touch. 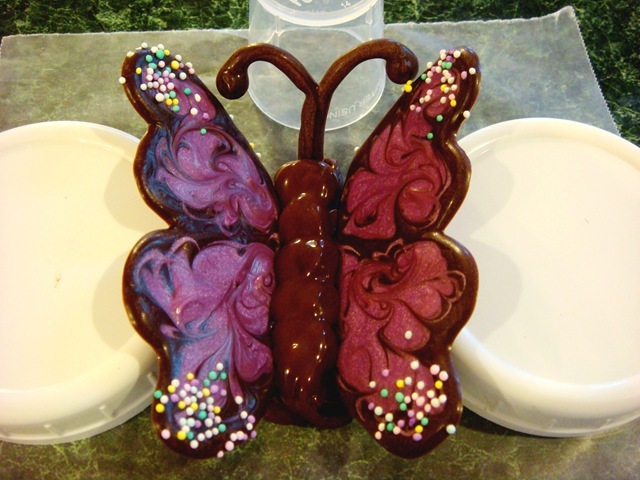 Now for the tricky part: find some odds and ends in your kitchen drawers to use to prop up your butterfly wings and antennae while the chocolate body hardens (I used plastic mason jar lids and medicine cups). 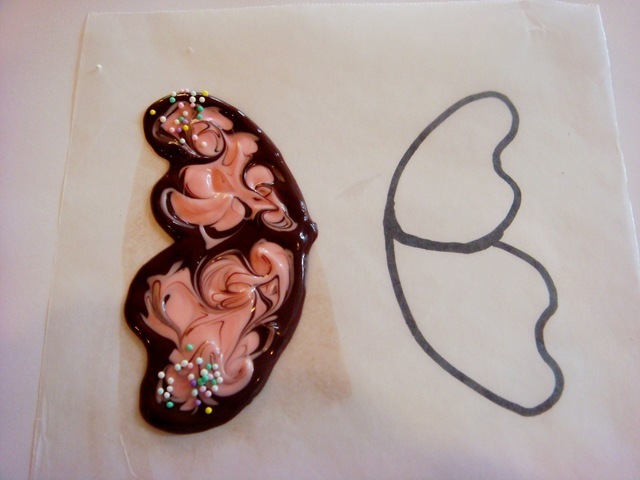 Place the wings at an angle in the still soft chocolate body. Prop them up underneath. Place the antennae at the head of the butterfly and prop that as well. I tried just holding the wings while the chocolate hardened, but the wings started to melt in my fingers before the body was hard enough to support the wings. Propping them was much easier! 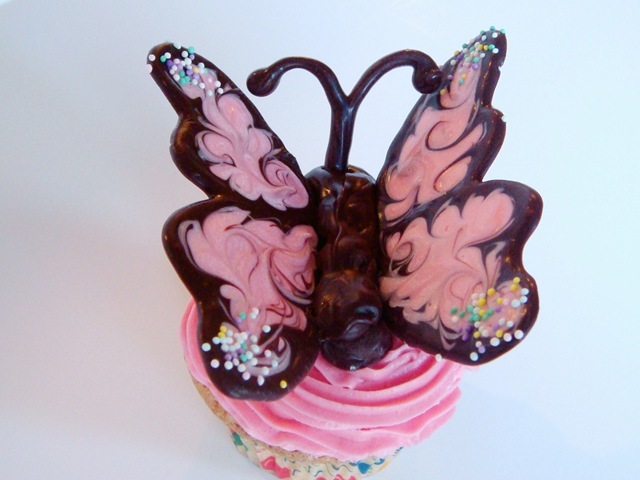 Gently peel the butterflies off of the waxed paper when you are ready to put them onto your cupcakes. In a small saucepan, mix the flour and milk until combined. Heat over medium heat, stirring constantly with a whisk, until mixture thickens (and is just about to boil). Remove from heat and let it cool completely to room temperature. Stir in vanilla. 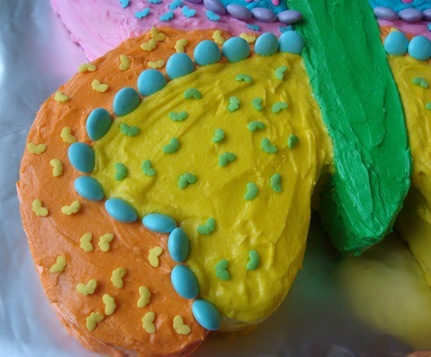 This frosting looks best when piped with a large decorating tip (1M), but can also be spread with a spatula.